Hashcava is our name for Yizcor, the memorial prayer. Hashcavot are recited by the chazzan on various occasions, usually before or during Parasha (Torah reading). An individual who is called to the Torah can ask for a Hashcava for a relative. On top of that, there are many Hashcavot which are integral part of the service. An example of this are the Hashcavot made on Shabbat for those who deceased during the last eleven months. When called to the torah, after 2nd beracha, followed by mi sheberach for family. Before musaf, followed by single mi sheberach for all relatives & friends. Before Torah reading (Parasha): 7 dayes, staring previous Sunday. Since the 1970th, only the “eleven months” Hashcavot are read in the morning. In Amstelveen no Hashcavot are read. the “eleven months” hashcavot booklet. Since the 1970th, no hashcavot are read in the afternoon. with a special addition for those who were killed by our enemies. Hashcavah for the employees of the community who were killed by the Nazis. Followed by Leon Mopurgo. Shabbat Chol haMo’ed Pesach, Shabbat Divré & Shabbat Tesuva. Since the 1970’s, the 11 months booklet hashcavot are recited during Shacharit, whilst the Shacharit hashcavot were recited during Mincha (swapped). Later, the Mincha hashcavot were stopped for unknown reason. Today, in Amsterdam, only the 11 months hashcavot are recited in the morning. In Amstelveen no hashcavot are read. Names of deceased members are written in various books. Different books are used at different occasions when hashcavot are recited. 1. Four brown leather back prayer book size brown books date back 5566 (1806). These contain the hand written names of members, for which money was donated to say Hashcavah on their annual Memorial Day. The names are written on the left page. All names on the right page are erased. See intro point 2 for a possible explanation. a) Book by date for months Nissan-Elul. b) Book by date for months Tishri-Adar. c) The third volume is missing (see 2c below). d) In Ets Haim the fourth volume was found for Kipur Mincha & Ne’ilah (see 2d below). 2. Four big size books called ‘yellow books’ due to the yellow back, with white paper around. Pages are split in two columns. The left columns are identical to the left pages of the brown books above. The right columns contain names, which are crossed out. On the first page of book I it is indicated that these are mi Sheberach (blessings). This explains why the names are crossed out (erased in the brown books): a blessing is only recited for the living! The first two date back to 5643 (1883), the last two have no date indication, but are probably the same. The author collected all Hashcavot known at that moment and kept them updated later on. c) Hashcavot for Shabbat Mincha (one page per week) and for Yom Kippur evening. d) Hashcavot for Yom Kippur Shacharit, Mincha & Ne’ilah. Part one is still being updated when people donate money in the remembrance of loved ones. More sets (did?) exist, see title page of another type c book. 3. A yellow booklet, started in 5683 (1923) by Chazzan Duque, with the names of all members who died as of that date, usually called the “elf maanden regeister” (eleven months booklet). This is used for the Hashcavot recited on Shabbat for those who died during the last eleven months. On top of that, the booklet contains names for special occasions, like Rosh Chodesh & fasts. This booklet is maintained till today. Mind all chazzanim had their own booklet. Many more can be found in the achieves. 4. Dark blue Booklet (single page parchment) with the names of all Chachamim of the community plus an inlay sheet for al killed by our enimies, to be used for Hashcavah on Kal Nidre. 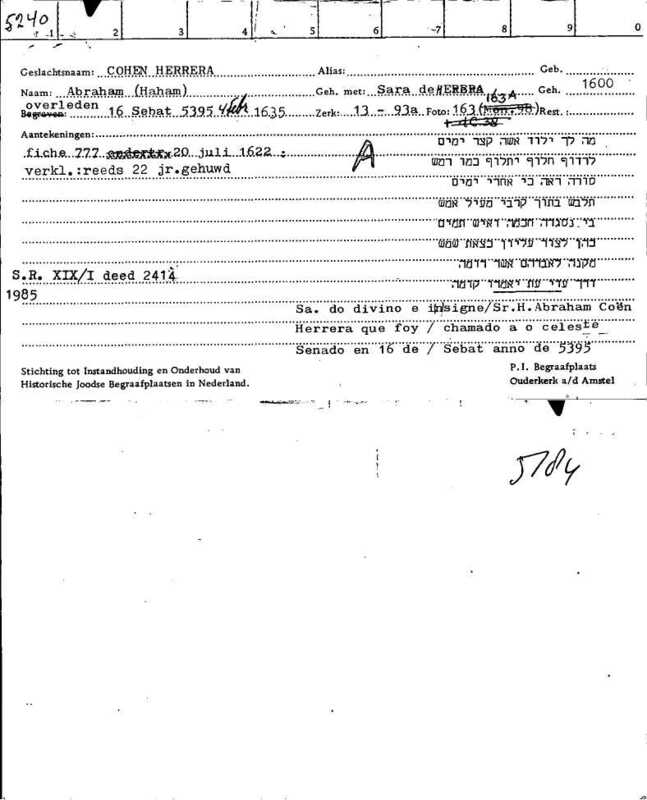 Further, some typed pages with the names of the employees of the community who were killed during the sho’ah, used during Mincha of Yom Kippur. The entire set for Yom Kippur can be found Hashcavot for Yom Kippur. There are short and long hashcavot for men and women. Long haschava for a man is used in other occasions only if the man has a title and / or is a rabbi. In all other cases the short hashcava is used. If the haschava is recited for a group of people, like in case of the “eleven month” hashcava, the short hashcava text for men is used, even if the group consists of women and man, with and without title. In ‘private’ hashcavot, one hashcava is recited for all women and one for all men. If one of the men has a title, the long hashcava is recited for all. Because the lists of hashcavot on Yom Kippur between the services are long, there is a special way to say them, see Hashcavot for Yom Kippur. All names, including titles, are recited for those who died during the last eleven months, minus one day. E.g. on 10 Tishri, hashcavot are read starting 11 Cheshvan, or in a leap year, starting 11 Kislev. The short haschava text for men is used. After the last name, three names are always added. These are written at the top of each double page of the eleven months booklet. Unfortunately I was not able to find any reason for this hashcava. Parnaas. (de Castro page 5, paragraph 5, page 8 paragraph 2): original buyer of Beth Haim. He arranged official permission to burry. For this (and other achievements) he was granted “mi sheberach” during his life & hashcava after his death (de Castro page 8 note 20). Note: this is not in line with the findings of L. Hagoort, who writes on page 21 paragraph 5 that the hashcava is recited on Shabbat before Rosh Chodesh and on Yom Kipur. In a private mail she corrected Shabbat before Rosh Chodesh to the first day of Rosh Chodesh. The discrepancy with de Casto is noted in note 40 on page 355. Apparently, this has been changed over time. Intermediary (de Castro page. 6 paragraphs 2,3) between an unknown agent who bought the land and parnassim to buy the land of Beth Haim. For this parnassim declared that following his death, hashcava should be recited for him during the afternoon prayers in the synagogue every Shabbat. As these three names were added to the 11 month booklet, this hashcava is now read in the morning, although at least for Isac Abenhacar we know it should be recited in the afternoon. Some 11 months registers. The first was stared by chazzan Duque in 1923 and is still maintained. "...I will try to be brief: We are dealing with the same person: Abraham Cohen Herrera. A fascinating figure, but quite obscure. There is an excellent monography about his life and work by the late Nissim Yosha (in Hebrew). ... He lived in Amsterdam for a short period and died there. He wrote two kabalisic books in Spanish: Puerta del Cielo and Casa de la Divinidad. Haham Ishac Aboab da Fonseca translated both works into Hebrew. He was considered a Lurianic kabbalist, but he was in fact a neoplatonic philosopher who wanted to demonstrate that the "prisca theologica" is to be found in the kabbala. He was born in Spain and lived as a New Christian until he adopted openly the Jewish religion and integrated into the Western Sephardi world. As a matter of fact he was not a Lurianic kabalist, but used Lurianic language as a methaphor for his neoplatonic philosophy. Aboab da Fonseca in his Hebrew translation "edited" his work and transformed it in Lurianic kabalah. The Christian hebraist Knorr van Rosenroth translated his work into Latin and for many years Herrera's work was known only from the Latin version. Excuse me if I will insist that he was not an ordained rabbi and had no rabbinic position at the community of Amsterdam or in any other Jewish community. .... The title rabbi should be regarded in this case as honorific, like Sir, Mr. etc. I don't know the history and origin of the Ascaba. Maybe that Herrera was given this honor because he was highly regarded by Rabbis like Isaac Aboab da Fonseca (the translator of his Spanish works) and Menasseh ben Israel." From above it looks that he got the title “Haham” posthumous because he was wise, comparable to the titles granted posthumous to e.g. mohalim, teachers etc., see the subject “titles”.